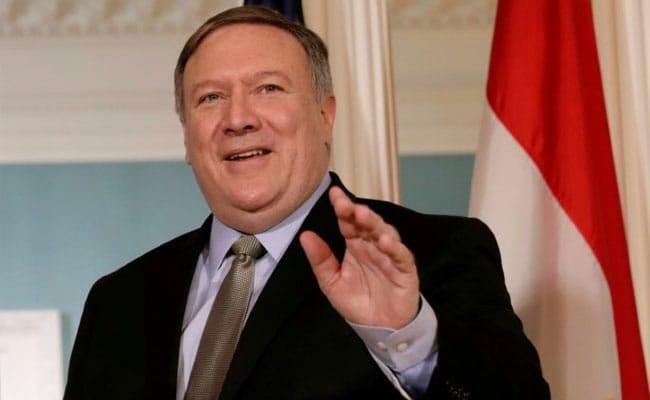 Greeting people across the world observing Diwali, the US Secretary of State Mike Pompeo on Tuesday said that it is a festival that celebrates the triumph of light over darkness. He also said that it is also a time of reflection and prayer when observers perform seva, or selfless service, without any expectation of reward or payment. In a Diwali message wishing people a joyous and prosperous holiday, Pompeo said, "Also known as the 'Festival of Lights', this special occasion celebrates the triumph of light over darkness." The US Secretary of State said that nearly a billion celebrants from around the world will light the diya, or lamp, "as a reminder that good ultimately overcomes evil, understanding over ignorance, and kindness over animosity". "As those celebrating decorate their homes with vibrant lights, I would also like to recognize the achievements of our friends in the United States observing Diwali who make important contributions to our country on a daily basis," Pompeo said. Senator John Cornyn, who is co-chair of the Senate India Caucus, said that Diwali marks the beginning of the Hindu New Year, and millions across the globe – including hundreds of thousands of Indian-Americans in Texas – celebrate the Festival of Lights. "These lights are physical, including lanterns, candles, and fireworks, but for those who light the flames, they hold a deeper meaning. Diwali celebrates awareness of one's inner light and light's triumph over darkness. It celebrates goodness over evil and hope over despair," he said. Tulsi Gabbard, the first Hindu elected to the US House of Representatives, in a video message said that Diwali is such a special time of year where people all over the world are coming together to light their lamps in honour the return of Lord Ramachandra to His kingdom after many years in exile, and celebrate the victory of light over darkness, good over evil, and knowledge over ignorance. "Unfortunately, in our world today, we find ourselves surrounded by darkness and divisiveness, based on race, gender, politics, or religion. We see political leaders and influencers, people in the media, unfortunately fomenting bigotry and hatred, for their own personal or political gain," she rued. Rather than engaging in constructive dialogue, treating each other with respect, disagreeing without being disagreeable, too much of the public discourse is dominated by hatred, tribalism, and character assassination which unfortunately has also led to threats or acts of violence, Gabbard said.